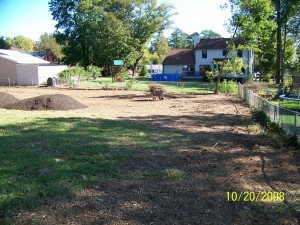 TSP Lawns of Yorktown VA Grounds Maintenance Services Servers hundreds of properties in the Hampton Roads area of Virginia. Our ground maintenance services include residential, commercial and HOA properties on an ongoing basis. Our comprehensive knowledge of plants, trees, lawn products, and maintenance strategies can help keep your lawn and grounds healthy year-round. 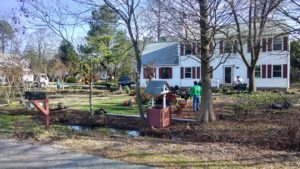 TSP Lawns – Landscaping – Grading – Patio is a full service lawncare, landscaping, grading and patio design contractor located in Yorktown, VA. TSP services the greater Hampton Roads area of Virginia including Williamsburg, Yorktown, Poqouson, Gloucester and Newport News. In addition to lawncare TSP offer custom landscape designs, lawn maintenance programs, patios, grading, irrigation systems, outdoor kitchens, and landscape lighting. If your looking for a quality landscaping company please consider TSP Lawns and Landscaping.Grounds maintenance services are generally performed from February to December.